As the excitement builds for Russia 2018, the likes of German prodigy Julian Brandt and Mexico’s hot prospect Hirving Lozano are being tipped to shine on the world stage. Over the years we’ve seen a handful of players translate the high-pressure World Cup environment into a platform for success. Although it’s one thing having an impressive summer, to build on a breakthrough and replicate it in the club seasons that follow demonstrates true class. We analyse a trio of stars who went from World Cup wonder-kids to world-class superstars. Ronaldinho and 2002 are words that still send shudders down the spine of many England fans. The Brazilian magician was the villain of the piece in the 2002 quarter-finals, as his 40-yard free-kick sailed over the helpless ponytail of David Seaman to send England packing. What we didn’t know at the time was that we were witnessing one of the game’s all-time greats, a future Ballon d’Or, Champions League and World Cup winner. There was much discussion as to whether or not Ronaldinho meant to score but he soon revealed in trademark cheeky fashion that it was indeed a shot, albeit intended for the opposite corner. Despite receiving a debatable red card seven minutes later, the skilful midfielder returned from suspension to lead Brazil to World Cup glory. A star was born in South Korea, but where did this dazzling playmaker emerge from? 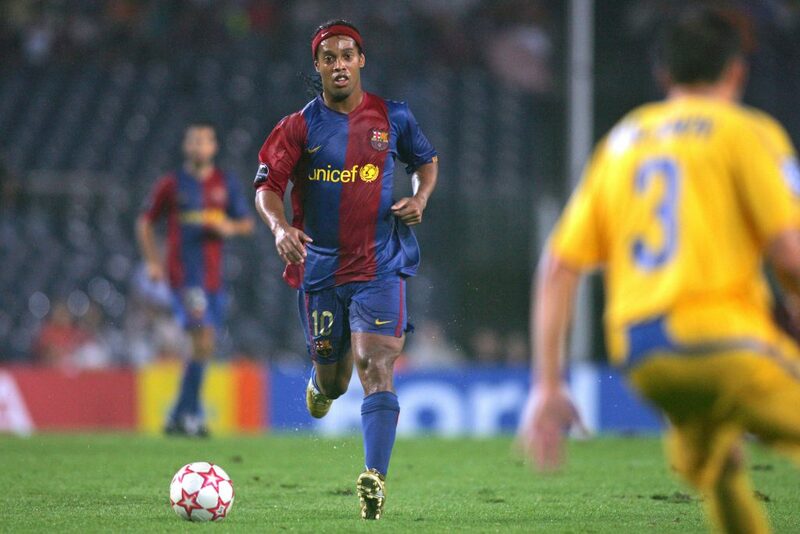 Ronaldinho had joined up with his compatriots off the back of his debut season in Paris. After only starting half of PSG’s games, he danced his way to the top of their scoring charts, revelling as understudy to Nigerian legend Jay-Jay Okocha who shared his love for step-overs. By the end of the Ligue 1 season, Ronaldinho was the newly established main man and he jetted into South Korea as one third of the most feared front line in international football. Ronaldinho. Ronaldo. Rivaldo. This sensational trio lit up South Korea with 15 goals and 3 assists between them. Ronaldo and Rivaldo were already household names at the peak of their careers but, for Ronaldinho, this was just the beginning. He returned to PSG and claimed his mentor Okocha’s number ten shirt, but it was a season clouded by disputes with manager Luis Fernandez regarding Ronnie’s party lifestyle. A disappointing 11th place finish was the nail in the Parisian coffin and it was time for the Samba star to move on to better things. Sure enough, Barcelona came knocking and we all know how that story goes. This one club man was burdened with the ultimate surname to live up to in Bavaria, as namesake and Bayern legend Gerd Muller had racked up 365 goals in 427 Bundesliga appearances in the 60s and 70s. Gerd Muller was known for his agility and clinical finishing. Yet when asked to describe the playing style of Thomas Muller, the response is likely to be along the lines of “he scores a lot of goals, somehow”. It was, in fact, Gerd who was the first to praise Thomas’ burst onto the Bundesliga scene, as he picked up Player of the Month just two months into his breakthrough season. The 20-year old German grew from strength to strength and national coach Joachim Low simply couldn’t ignore him. 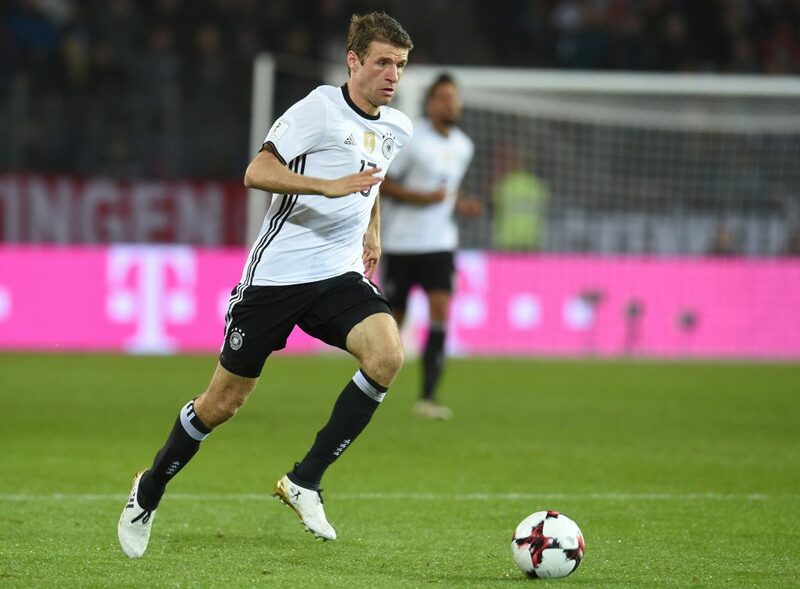 With an international debut against Argentina in March under his belt, Muller was ready to shine on the grandest stage of them all. Thomas Muller did what he does best, scored goals. He played a vital role in Germany’s third-placed finish and if it wasn’t for his suspension then the semi-final defeat against Spain could have been a different story altogether. Nevertheless, the Bavarian striker claimed both Young Player of the Tournament and the Golden Boot as he racked up five goals and three assists in his first World Cup, A tally that predecessor Miroslav Klose would have been proud of. 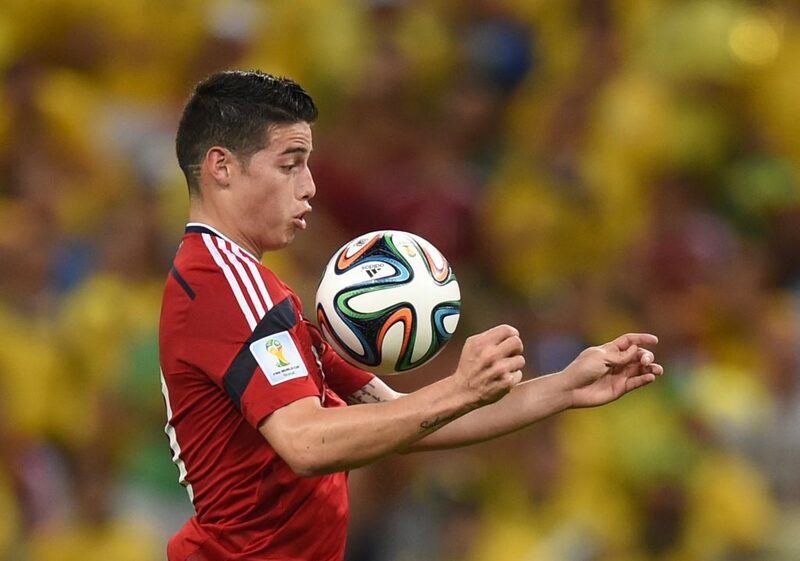 In the run-up to the World Cup, James Rodriguez was already a midfielder of real pedigree. He’d gone from FC Porto to big-spending Monaco in May 2013 to become part of their Ligue 1 title challenge. The Colombian’s eye-of-the-needle passing made him the French league’s top creator with twelve assists. But it was all in vain as PSG won their second, of what became four consecutive titles. It did, however, give Colombia fans hope for the World Cup as their target-man Radamel Falcao was ruled out through injury and someone needed to step up. James Rodriguez answered the call by matching the likes of Lionel Messi and golden boy Neymar with crucial group stage goals. The shock Golden Boot winner was the star of Brazil, scoring in each of his nation’s five games including a brace against Uruguay in the last-16. His displays of creative passing and pinpoint shooting earnt him plaudits around the world and a whole nation’s hopes rested on shoulders of this 22-year-old talent. It’s a testament to how impressive Rodriguez’s six-goal tournament was when we consider that Colombia were knocked out in the quarter-finals. A remarkable volley against Uruguay saw him claim the FIFA Puskás Award for the goal of the year. But more significantly, James had caught the eye of Real Madrid and he soon left Monaco behind for the heights of the Bernabeu in a £63 million transfer. It was ultimately a move that didn’t work out for either party and James couldn’t force his way into Madrid’s plans. The manager who took him to the Bernabeu, Carlo Ancelotti, offered the Colombian midfielder a new start and a two-year loan move to Bayern Munich was completed. Ancelotti was soon relieved of his Bayern duties and eyebrows were raised about the future of Rodriguez. But fast forward to early 2018 and manager Jupp Henyckes is praising the deeper-lying James and the architect of Bayern’s 27th league title. With the Colombian star shining once again, it makes the £36-million buyout clause in his loan deal look like a bargain.